How to Avoid Making this Your Last Office Party! I've been to enough office gatherings throughout the years to testify that they are not easy events to plan or attend. It's not so much the physical effort required to prepare for the event, since most businesses use some kind of caterer. 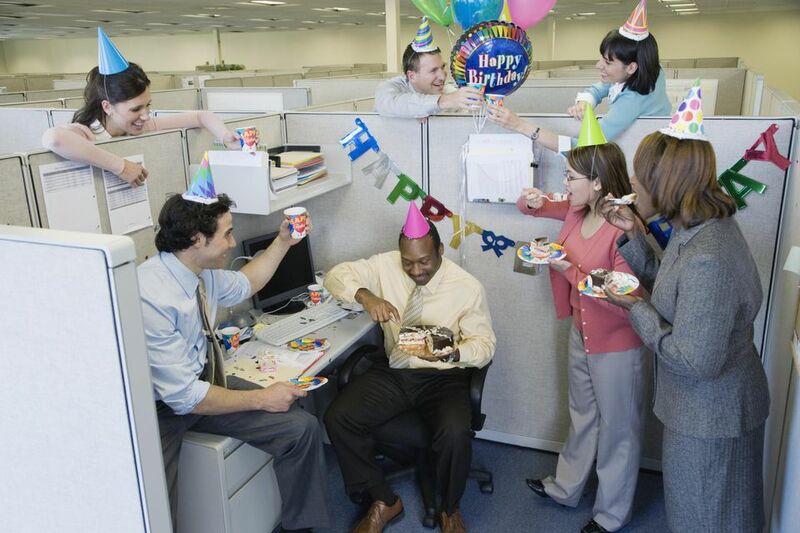 The problem is that when you throw coworkers into a social situation such as an office party, no one knows how to act. Most people act differently in front of their peers, supervisors and subordinates. Add spouses and dates to the picture, mix together different departments, and you have a recipe for boredom at best, and disaster at worst. And since our awareness about the dangers of drinking and driving have increased, the days of employees drinking themselves under the holiday table to loosen up are becoming history. It had better be a pretty good party to overcome the odds. Many years ago I used to work in Manhattan in the investment banking industry. That industry had, and still has, the money to throw very lavish parties. Typical parties involved management renting space in a large hotel, catering a wonderful meal, and paying a DJ for entertainment. Of course, in those days we also had some of our worst parties. In one company, the traders used to love to celebrate everyone's birthday. Of course, their idea of a party was to pay for live strippers to come into the office in the middle of the afternoon. The birthday boy would get a woman stripper; the birthday girl would get a man. The male strippers usually embarrassed the female recipient, instead of making her feel like an office equal. These were the days before sexual harassment in the workplace was clearly defined. Once a man was hired who looked like a Buddha. He was supposed to grant wishes if you rubbed his big belly. Funny to some, I suppose, but completely inappropriate for the office. Another company I worked for tried to be different by hosting their holiday party on the Spirit of Philadelphia, a party boat that cruises along the Delaware River. It was a nice idea, but since the boat was not exclusively ours, and because it was a pretty dark cruise, it was difficult to mingle. My husband and I had a lovely time on the outside decks, but it didn't do much to enhance coworker relations. A small retail business usually cannot afford the extravagance that a larger company can. In that case there are simpler options, such as catering a lunch in-house from a local deli, to taking employees out to a restaurant for lunch or dinner. Sometimes the owner of a small business will host a party in her home. Although the hospitality may be well intended, I don't think it's the best option. From the owner's standpoint, employees can judge your personal circumstances and make comparisons to their own less lofty digs. From the employees' perspective, it is not as comfortable as a party held on neutral territory. The corporate hierarchy is still apparent when you're on the boss' turf. Be as generous as your budget allows. Employees have worked hard for you all year and they are looking for a show of appreciation. You can make your event memorable by choosing an unusual location. Aquariums, art museums, sightseeing boats, rodeo ranches, regional airports are among the many different sites you can choose. Think about hiring entertainers to help break the ice. It can be a band, a DJ a magician, a local choral group or anything else which can cover for those awkward silences which are bound to occur at the beginning of the party. Have enough food. A hungry stomach leads to a cranky employee. Publish your policy on drinking, in advance, to avoid any misunderstandings. Well-chosen party favors will extend the good feelings after the last balloon has popped. Hire a professional party planner if you're planning a big event instead of wasting your staff's time. Mingle, mingle, and mingle. All of that positive public exposure is the added benefit of throwing a company bash.